Jennifer Lopez and her on-again-off-again boyfriend Casper Smart were out partying this weekend, and J-Lo’s boy-toy was on his best behavior! This summer Jennifer’s ex Ben Affleck and his wife of a decade Jennifer Garner officially announced their divorce – and Lopez has reportedly been in contact with Ben since his breakup. Before Jennifer Garner came along, Ben Affleck was engaged to marry Jennifer Lopez – although a cheating scandal with a stripper tore them apart, Ben and J-Lo are apparently very close now and she has been helping him through his breakup and divorce. Jennifer Lopez’s much younger boyfriend Casper Smart has always been a bit of a tool – and no one is really sure why J-Lo puts up with his antics. But ever since Ben Affleck got back on the market, Casper has really stepped up his boyfriend game and is going above and beyond trying to ensure that J-Lo doesn’t dump him for her old fiancé Affleck. 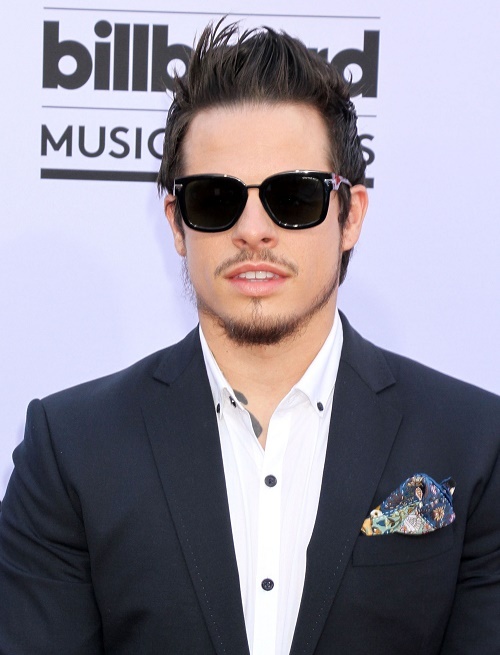 Can Casper Smart really compete with Ben Affleck though? If Ben is interested in winning back Jennifer Lopez, Casper Smart is going to have to do a whole lot more than pretend to be J-Lo’s bodyguard to save his relationship. After numerous cheating scandals and break-ups, Jennifer Lopez would probably jump at the chance to reunite with Ben Affleck. Do you believe the rumors that the two celebs could wind up reuniting? How pathetic is it that Casper Smart is suddenly boyfriend of the year? Let us know what you think in the comments below!